Good morning blogging friends! Today, I have another fantastic New Release from JustRite Stampers to share with all of you. 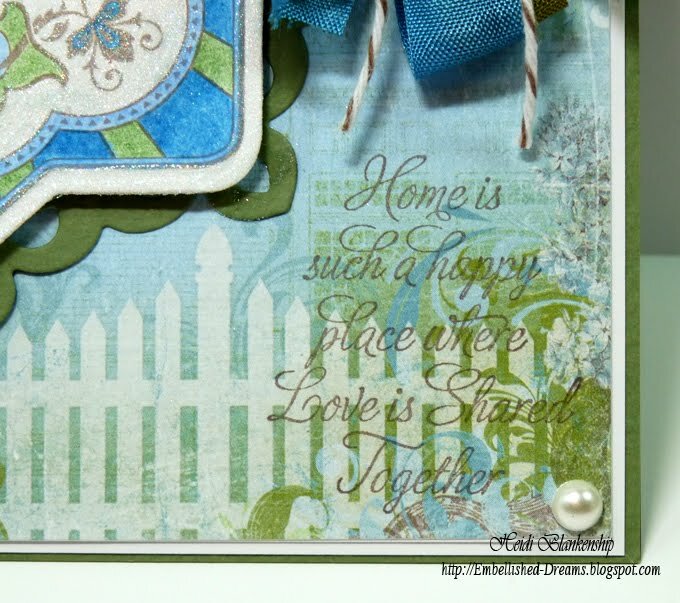 Here is the card I designed using the New Stamp Set--CL-03540 Warm and Cozy Medallion Labels. This stamp set includes two beautiful Medallion Labels and five sentiments for a total of seven stamps. To start I stamped the image onto Simply Smooth White Cardstock with Rich Cocoa ink and added the color using Prismacolor Colored Pencils. Then I die cut the stamped image using JustRite Custom Die JB-10020 Nested Medallion Labels from JustRite Stampers. I also die cut S5-043 Fleur de Lis Doily Motifs die template from Spellbinders with Herbal Garden Medium Prismatics cardstock. I used the Grand Calibur to cut/emboss the die cut shapes. 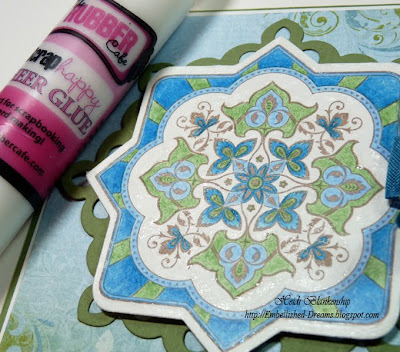 After I layered the die cuts then I wanted to add some glitter to the white areas of the stamped image so I applied Scrap Happy Sheer Glue from The Rubber Cafe. 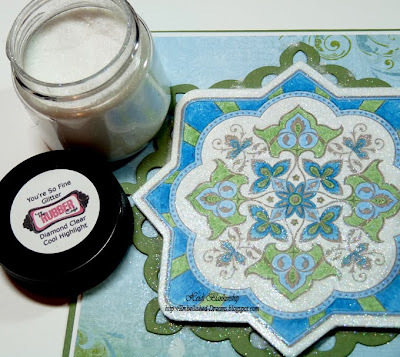 This glue is perfect for adding glitter because it stays sticky/tacky even once it is dry so you don't have to rush to apply your glue and glitter. After I let the glue sit for a minute then I applied the You're So Fine Glitter Diamond Clear Cool Highlight. The glitter is powder fine and I just rubbed it on with my fingers and then tap off the excess. Here is a close up of the Medallion. 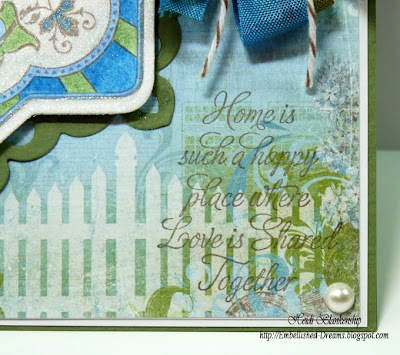 I stamped one of the the sentiments from the stamp set in the lower corner with Rich Cocoa ink. I added a bow made with Dusty Olive and Peacock Seam Binding from Really Reasonable Ribbon and a heart charm. I also added a few Pearl Jellie Dots for embellishments. 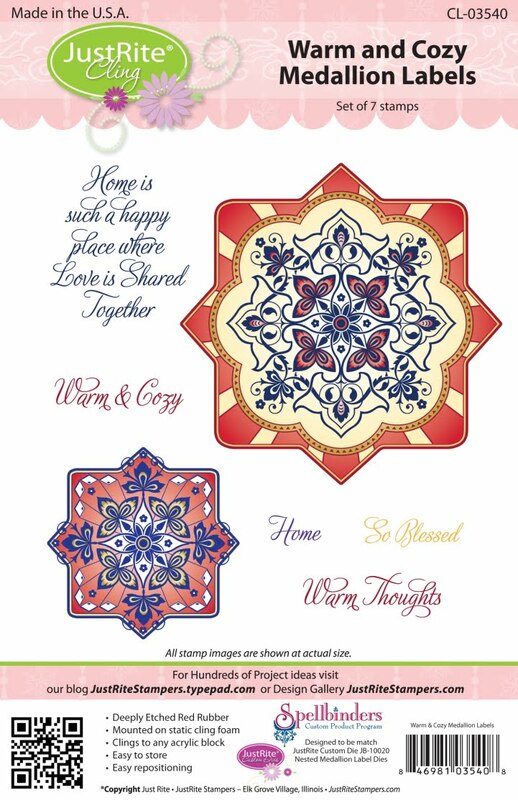 Please be sure to check out the JustRite Stampers Designers that are listed in the link list below and see what they have been busy creating to share with you. Thank you so much for stopping by today!! I hope you have a Fantastic day! 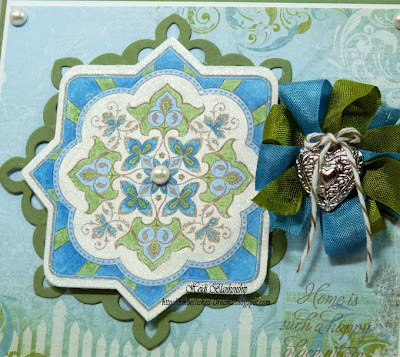 Beautiful card, thank you for sharing it. Beautiful layering of the medallion! Your card looks wonderful! Lovely card. Love the blue & green combo. 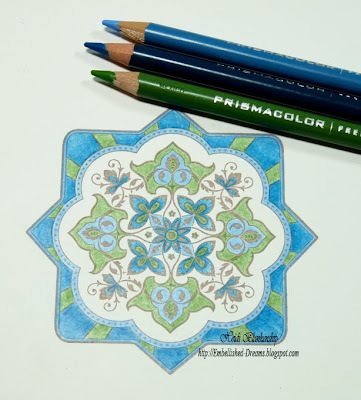 I "need" to get out those colored pencils! 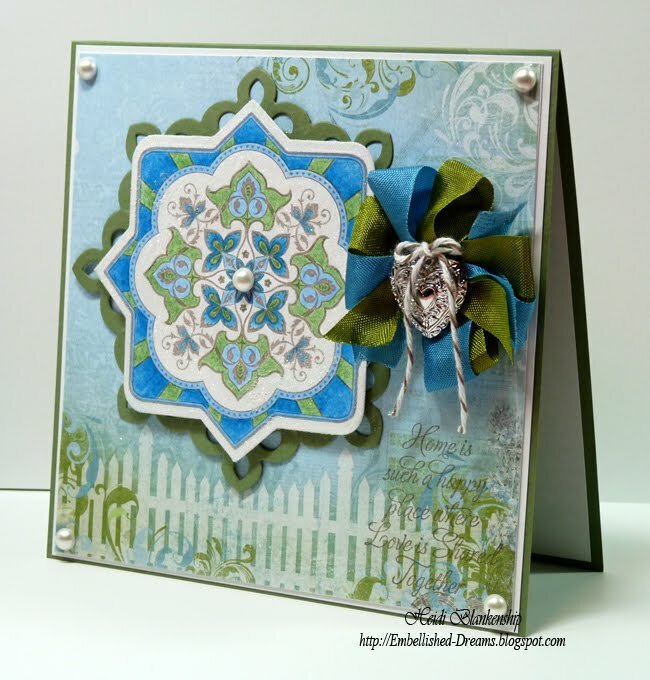 LOVE your card, Heidi! Hope you are having a marvelous Monday so far! Such beautiful colors, and love the sparkle! Great card! I need to start using my color pencils, love the blue and green combination. Hugs! 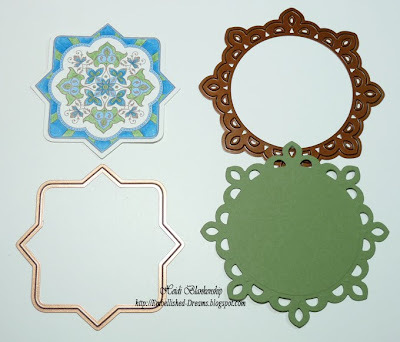 Oh my goodness, this is so beautiful Heidi and just my favorit colors even. I love this combo and your coloring is just perfect. Awesome job hun and such a gorgeous card. I really love this. Beautiful job Heidi. 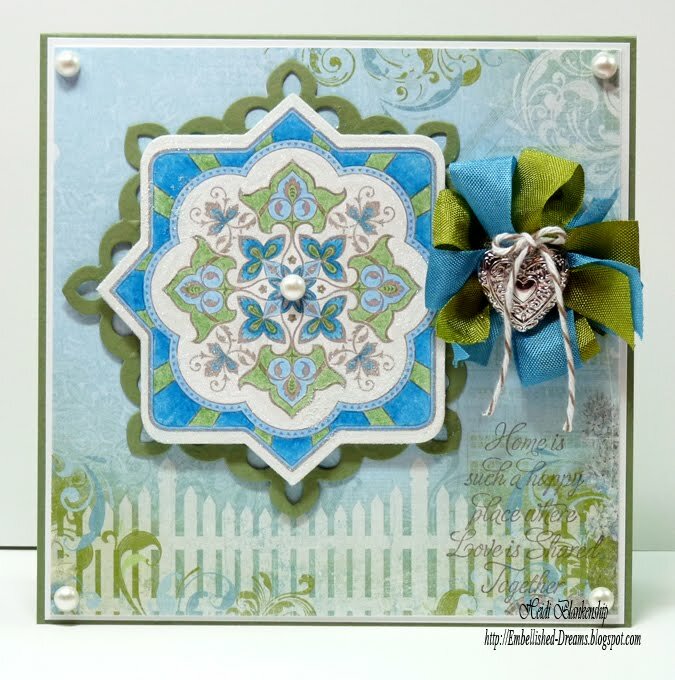 Love the color and you pulled a perfect die for layers!! Lighthouse Layout & Heading to CHA!! Happy New Year & Some Exciting News to Share! !